The Four Oaks team wish you, your family and friends a very happy Easter. 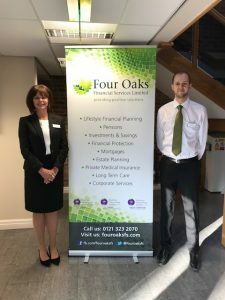 “Style is a way to say who you are without having to speak.” This is a quote from fashion designer and business woman Rachel Zoe, and what she says sums up very well the reasons why we have introduced a stylish new uniform for our team at Four Oaks Financial Services. Our brand embodies our values of providing a premium service to all of our clients, and as soon as our clients come into the office they can see our culture, attitude and ethos in the way we present ourselves. Our aim is to provide quality in everything we do. The uniforms are from a corporate clothing range and the ladies in our team could choose skirts, dresses or trousers or a combination that suited their individual preferences, together with white blouse and jacket. Our gents chose black trousers, white shirts and a green tie to match our logo. “The uniforms have been a hit with our team and clients. Everyone has a professionally produced name badge so visitors know who they are talking to when they visit, and we don’t have to decide what to wear everyday but always know we are dressed for the office.” Says Practice Manager, Lynsey Mason. When one of our clients told Financial Adviser, Mark Timmins about his passion for football and for his local club, Bilston Town Football Club, and the fact that they are celebrating their centenary year, we were only too happy to become one of their sponsors. Bilston Town Community Football Club are on a mission to attract sponsorship from 100 local businesses in their 100th year. Our client is not only a dedicated fan, he is also on the club’s committee and stewarding on home match days. Mark Timmins is Bilston born and bred. His family have roots in the metal manufacturing that once dominated this industrial market town, and Mark passes the ground everyday on his commute to our offices located between Sutton Coldfield and Lichfield from where we provide local financial advice. 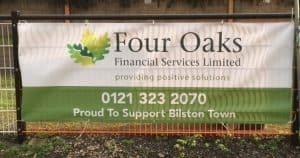 As sponsors Four Oaks Financial Services has a pitch-side advertising banner at the Queen Street Stadium for the remainder of the 2017/2018 season and the whole of the 2018/2019 season. Click on the link below for key points from last week’s Spring Statement in the Four Oaks Financial Services Spring Statement bulletin. The last page has a useful summary of important tax rates for 2018/2019. We do hope that you find this update both interesting and informative. If you require more information on any of the areas covered or any other financial matter, please do not hesitate to contact your Adviser or our Client Liaison Team. On Thursday 15th February, we opened our doors for a drop-in morning on ISAs in our office near Sutton Coldfield. Right now it is what we call “ISA season”. This is the time of year that people make sure they have used up their tax free savings allowance before the end of the current tax year and look at putting plans in place for their ISA investments for the new tax year which starts on 6th April. One of our visitors said that they had a life changing experience after taking the time to drop-in. 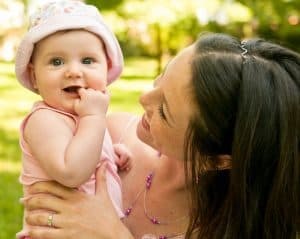 She had expected to ask a few questions about ISAs but found out that she still had time to plan for her retirement and that she had a pension that she could potentially access now, if she wanted to. She has booked a formal appointment to follow up on this conversation and will be working with one of our Advisers who will provide her with financial advice specifically tailored to her individual circumstances. You see, you never know where a chat with one of our local Financial Advisers will lead! Investors do not pay any personal tax on income or gains, but ISAs do pay tax on income from stock and shares within the funds.